Key leading indicators point to a slower and more uneven economic growth in 2019/2020. Therefore, we see a growing interest in the question of which countries and/or economic areas have sufficient buffers if a new and more severe downturn could set in. Traditionally, anticyclical monetary and fiscal policies are the most natural factors to take effect in a downturn. Either in isolation or in combination, but best coordinated in any case. In addition, appropriate leeway or buffers in the banking sector in order to continue lending into a downturn could help to smooth the business cycle. 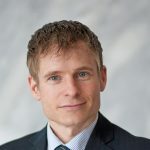 With regard to the euro area, several key European economies and, to some extent, certain economies in Central and Southeastern Europe (CE/SEE), it could be questioned whether both, sufficient monetary and fiscal space to counterbalance a potential global downturn, exist in each and every country. In the case of Hungary, Slovenia, Croatia, Serbia or Romania, you could set a question mark for at least one dimension (either fiscal or monetary policy) in each case. The Czech Republic is a laudable exception here. The central bank has used the last few years of a nice cyclical recovery to bring interest rates closer to a neutral rate. Currently, the key interest rate in the Czech Republic is the highest among its regional peers. Against some earlier warnings the monetary policy advance compared to the ECB did not cause any excess market or currency shakes. Furthermore, no costly populist election promises have been implemented in recent years despite some spending increases (e.g. for cheap transport tickets, higher social expenditures). After all, budget surpluses have been achieved uninterruptedly in the Czech Republic since 2016. This brings us close to the “showcase” Germany, where budget surpluses have already been achieved since 2014. As a result, the government debt ratio has fallen from a peak of just under 45% (2013) to close to 30% of GDP. So there is room for manoeuvre here too. Among its regional peers in CE only Slovenia has managed to achieve a moderate fiscal surplus in 2017, while Hungary, Poland and Slovakia had been all running fiscal deficits at higher public debt-to-GDP ratios than the Czech Republic in recent years. Although monetary and fiscal policies are sufficiently sound, there are also ample buffers in the banking sector. 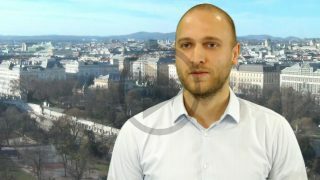 As the Czech banking sector has never seen any tendencies of deleveraging over the last five to seven years, the countercyclical capital buffer has been significantly increased in recent years in view of the strong expansion in the retail and mortgage lending business, supported by rather low interest rates and an ever-rising liquidity surplus. Of course, external circumstances have also had a positive impact. The weakness of the euro last year also meant that the Czech koruna did not appreciate significantly. In this respect, the weakness of the local currency has created even more scope for interest rate hikes. All in all, there is no reason to fear a modest global economic softening in the Czech Republic. Or in other words: One will not stand there naked when the tide ebbs. Taking the sum of buffers available in the monetary and fiscal sphere as well as in the banking sector, the Czech Republic even seems to be better prepared for the next potential downturn than the euro area stability anchor Germany. In terms of the combination of monetary policy, fiscal and banking sector buffers, the Czech Republic is even better positioned than Germany (and all other countries in Central Europe). We have described this situation in a so-called “buffer value”. 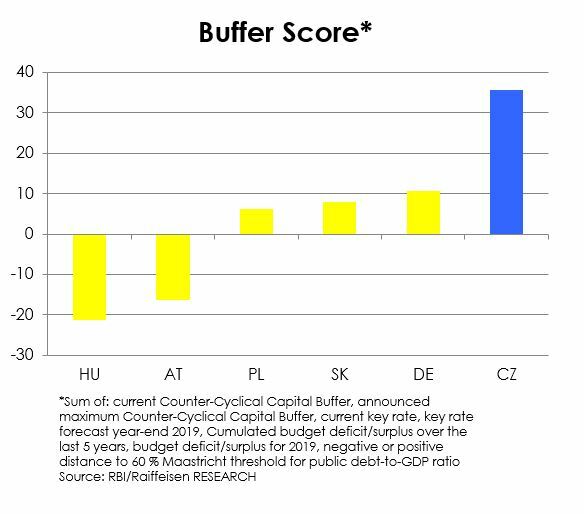 This includes the currently valid countercyclical capital buffer (CCyB) in the banking sector (as an unweighted sum), the key interest rate level (current and forecast for 2019), the budget deficit of the last five years, the budget deficit for 2019 and the gap to the Maastricht threshold for the public debt ratio in relation to GDP (60%). The calculated “buffer value” for the Czech Republic is 36 points. For Germany this results in 11 points, for Slovakia 8, Poland 6 and Hungary even negative 21 points (mainly due to the budget deficits of recent years and a public debt ratio above 60 % of GDP). Mentally prepared to use buffers wisely? Having buffers is one thing, using them cleverly is another. The stability-orientation in the Czech Republic has contributed to a rather dismal economic performance in the context of the euro area crisis in 2012/2013. Back then, fiscal policy was possibly over-restrictive in light of the challenging external conditions. Therefore, the next global and/or regional downturn could also be an interesting test case for economic and/or fiscal flexibility in the Czech Republic. Possibly, politics will be less dogmatic this time around and would allow some anticyclical response. It remains to be hoped that the Czech Republic will then be able to find a better coordinated economic policy response than Germany (where, in view of the dogmatically expansive ECB monetary policy, a dogmatically restrictive fiscal policy seems to prevail). An untested anticyclical thinking might also be required in the regulatory sphere. Bank regulators in recent years, including the Czech National Bank, have set (anti-cyclical) capital buffers upwards rather than downwards. 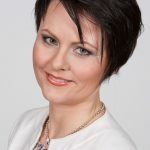 Helena Horska is Chief Economist at Raiffeisenbank a.s. in the Czech Republic. Prev:A spa in Bohemia? Yes, and preferably a beer spa!